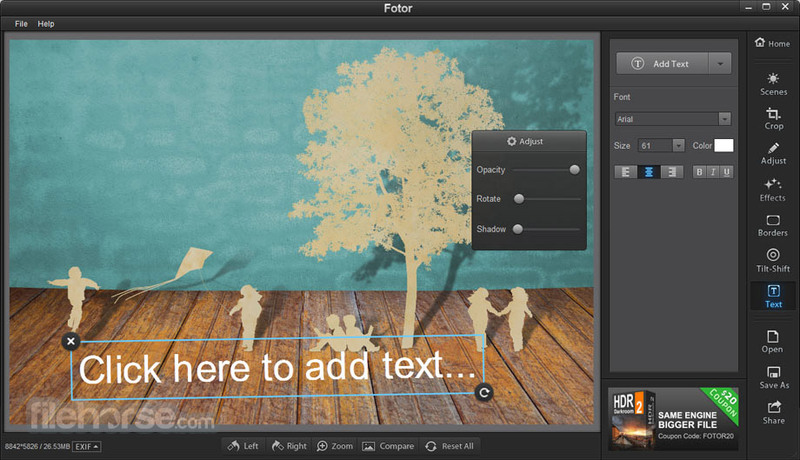 Fotor Photo Editor for Mac comes loaded with tools for every essential editing need, plus tilt-shift, 13 unique 1-tap enhance options, over 60 effects/30 frames, RAW support, built-in sharing, and high-resolution saving. Collage away. Pick from 60 different templates or customize one, and choose from 16 backgrounds. Upload up to 30 photos to mix and match. Finish off your masterpiece with the border color or pattern that catches your eye. 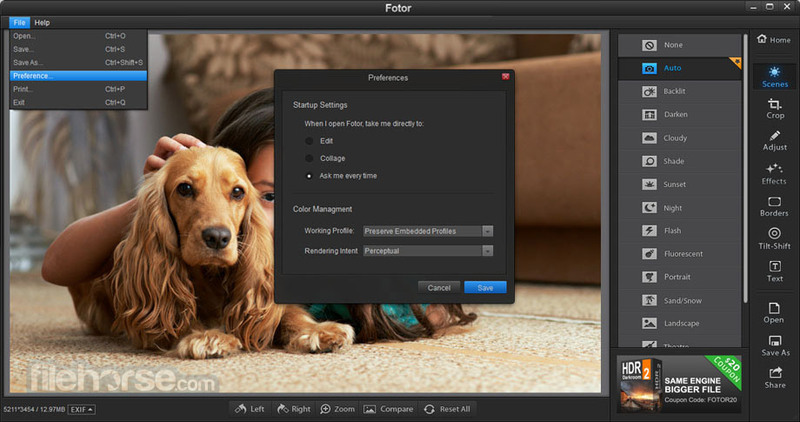 Fotor's state-of-the-art photo processing engine makes it easy to process high quality photos quickly. Adjust exposure, brightness, contrast, white balance, and saturation, sharpen/blur, vignette, highlights & shadows. "Scenes" offers 13 enhance options preconfigured for various photo capture conditions. Effects & Borders stretches your creativity further with Fotor's huge palette of effects and borders. Batch Processing lets you make short work of large numbers of photos. Apply effects and frames with just one click, instead of having to do it to each photo. New versatile collage feature gives you a ton of flexibility to be creative and customize! Select from 80 different templates for up to 9 photos at a time or use Freestyle to move your photos around however you want with more than 22 unique backgrounds to choose from. 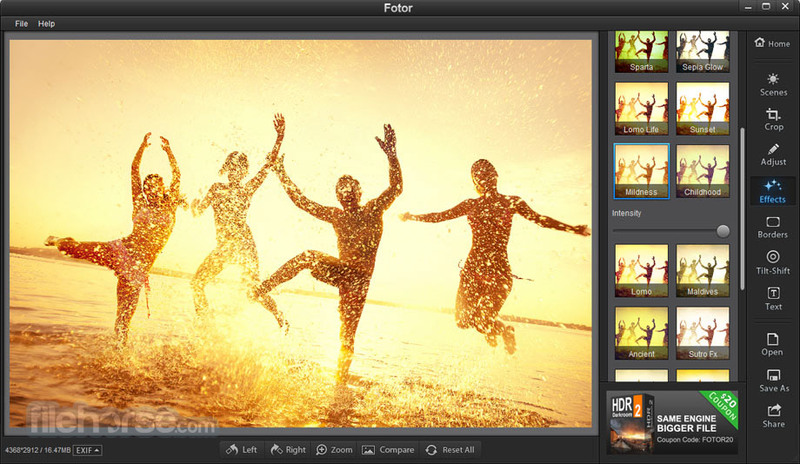 With Fotor's state-of-the-art photo processing engine, it's easy to process high quality photos quickly. Adjust exposure, brightness, contrast, white balance, and saturation, sharpen/blur, add a vignette, or crop, straighten, rotate and more. Most photos aren't taken in a controlled environment and sometimes there isn't time to adjust the settings on your camera when conditions change. "Scenes" offers 13 different 1-tap-enhance options that have been configured for specific photo capture conditions. Unleash your creative inspiration using a mix of clear focus and selective blurring. 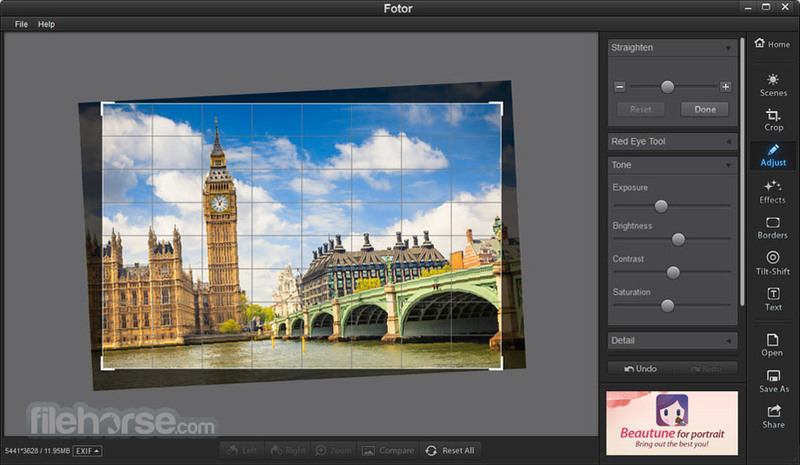 Fotor's Tilt-Shift editor gives your images the depth-of-field normally seen only on professional-grade DSLR cameras. 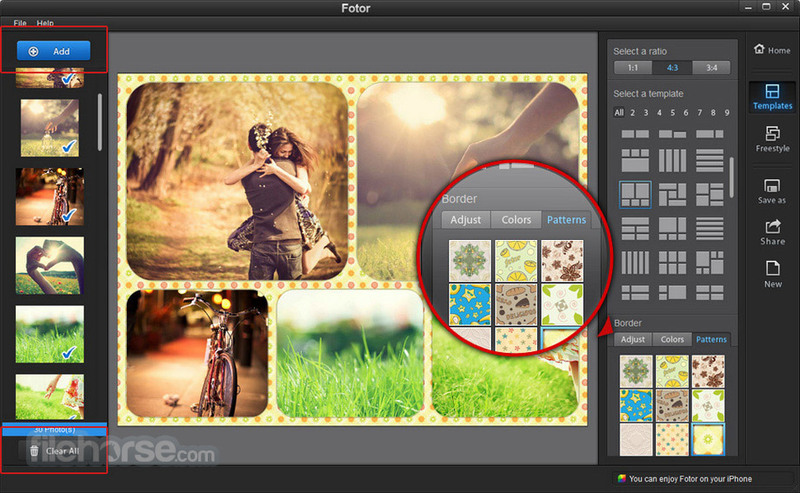 Stretch your creativity further with Fotor's huge palette of effects and borders. Designed with input from professional photographers and designers, Fotor comes loaded with over 60 effects, including Classic, Lomo, B&W, Art and Vignettes, plus over 30 different styles of frames. Got something to say? You can now add text to any photo. Lots of options to adjust the font, size and color of your text, plus move your words around till it looks perfect! Supports importing and exporting a wide range of image formats, including TIFF, JPEG, and PNG, plus conversion functionality for RAW files.